Tsit On Ice Manufacturing Group was established in 1966. We are specialized in the production of top quality tubular ice and provision of related services to the food and services industries. Over the last decade, we have expanded both the scope and the scale of our business operations throughout Hong Kong and Macau. With the support of our experienced and knowledgeable management and technical team, highly sophisticated equipment and world grade technologies that we have introduced into our company, we have managed to produce ice and related products that on one hand meet the international standards in terms and quality and hygiene and the requirements of our discriminating customers on the other. Our large and efficient delivery team together with our experienced customer services staff can ensure to provide unparalleled and seamless logistics and customer services to our customers. 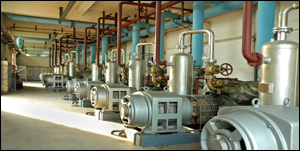 Our production capacity is around 2,000 tons of ice and related products per day. Our products include tubular ice for cold drinks, block ice for storage purposes, ice strips and ice sculptures. All of our products are manufactured and handled under constant supervision and strictly in compliance with government health or industrial regulations as applicable. 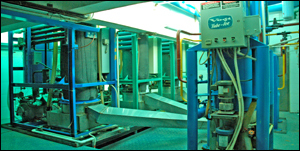 In addition, we have recently added dry ice and reusable ice packs or gel ice packs to our production lines. Our dry ice is mainly distributed to local customers. Our reusable ice packs or gel ice packs are distributed to local markets as well as a number of overseas countries in Europe, the Middle East and North America.